I know her as Aunt Betty, said NPR producer Kitty Eisele. Aunt Betty was that same famous mother of women's rights who Eisele found asleep late one night safe under blankets on Eisele's sofa. As a neighbor, this mother of all liberated women had come knocking because she was locked out of her own place without a key. So, I wondered who was this Aunt Betty? Why, it was Betty Friedan, of course. Her death had a tinge of magic in it just as her life did. Betty Friedan died Saturday, February 4, 2006 from congestive heart failure, on the same date she was born, 85 years ago, just one year after women's suffrage was passed. The circle of feminist fame and accomplishment had finally come home to roost. Spanning a life of drastic change in the women's movement and decades of civil unrest, Friedan lived the perfect suburban housewife's life as the decade of the 1960s began in Grandview-on-the-Hudson. It was there that her famous book, The Feminine Mystique, was born. Listed on NYU's 1999 100 Examples of Best Journalism of the Century, Friedan's book swept many a white upper middle-class woman out of her comfortable yet miserable existence at home and into the hard work world of the 1970s career woman. In a certain sense it was almost accidental—coincidental—that I wrote The Feminine Mystique, and in another sense my whole life had prepared me to write that book, said Friedan in a later book, It Changed My Life, published in 1976 by Random House. Safely identifying suburban depression as the problem that had no name, Betty perfectly understood that things needed to change for most women in the late 50s and early 60s. She created a map for this when she came up with the idea for the book after taking a survey of fellow women graduate students from Smith College. After showing the article to numerous editors and having numerous rejections, she worked the material into solid book form. Some feminists thought Freidan didn't take her ideas far enough. 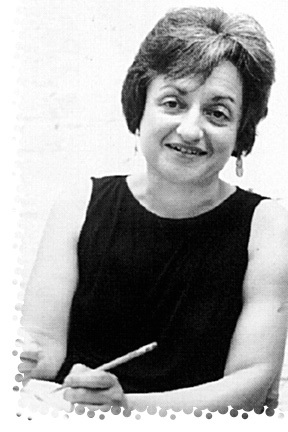 Carol Iannone, writer for FrontPage Magazine and editor-at-large for the National Association of Scholars, called Betty Friedan the godmother of equity feminism. Freidan did hit rough waters in the women's movement in the early 1970s. She found herself stuck between the coffers of feminists who wanted to live their lives with, and those who wanted to live their lives comfortably without, the comfort of men. There was no doubt. One way or the other Betty was changing the lives of countless American women. Even Simone de Beauvoir was not immune. In a 1976 interview, she thanked Betty for dedicating The Feminine Mystique to her. No woman should be authorized to stay at home to raise her children. Society should be totally different. Women should not have that choice, she said. Paving the road for later feminists like Bella Abzug, a young Gloria Steinem and Germaine Greer; Betty, as one of the founders of NOW, sought to bring the issues of home and world much closer to the public eye. Little did she know that her doodles, in 1965, on a cocktail napkin while trying to figure out a good name for a new women's project would lead to the creation of NOW. After being asked to attend a conference for the Association of Work-Life Professionals in Miami in 1998, Betty Friedan shared one more bit of Friedan wisdom. After all the accomplishing, all the flag waving, all that giving voice for women, she shared the most important plan of all: that great life-loving Aunt Betty was still kicking after all those years and still telling it like it is. Facts for this article came from Atlantic Monthly, NPR, The Seattle Times, and Saturday Review, 1975.